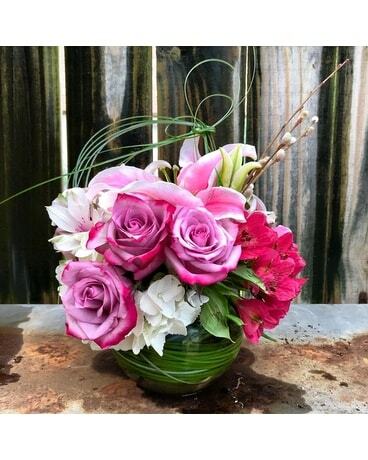 Spring flowers including purple roses, pink, white and purple alstroemeria, stargazer lilies, white hydrangea and greenery in a clear bubble bowl. Flowers pictured subject to availability and maybe substituted for similar flowers of equal value/and or color. This is a custom design and is available only for local/hand delivery.